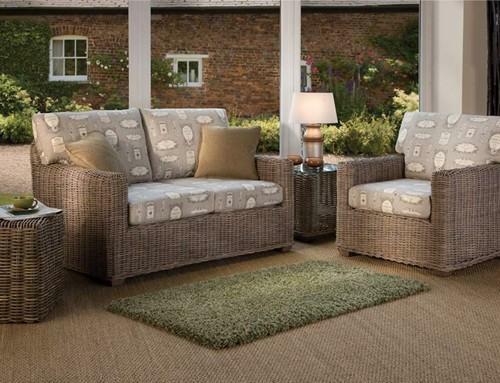 The Havana range is beautifully stylish but laid back. The furniture is made from a grey wash kudu rattan and comes with a range of accessories. Shown with Vintage Label Charcoal fabric.